Putting together a solid documentary takes more than cinematic skill. It takes a keen eye for detail and extensive knowledge of the subject matter. To put together a great documentary, one must have all these qualities as well as a deep passion for the subject at hand. With the skill of a seasoned filmmaker that belies his amateur status, first time filmmaker Ryan McGarry hits it out of the park on his first attempt with Code Black. In today’s political climate, one doesn’t have to look far to find an opinion on the Affordable Care Act. In fact, ask anyone what they think about the United States Health Care System in general and you’re likely to get a wide variety of responses. What makes Code Black unique, is not that it attempts to discuss such a worn out topic, but rather the way in which it does so. McGarry is not just a filmmaker, he is also a medical physician. His personal journey, from competitive college cross country runner to medical doctor, is one that warrants a separate glance due to its own intriguing story. Instead, it serves as the backbone for a ground-level look at the changing face of American health care from the trenches of the ER in a county hospital. 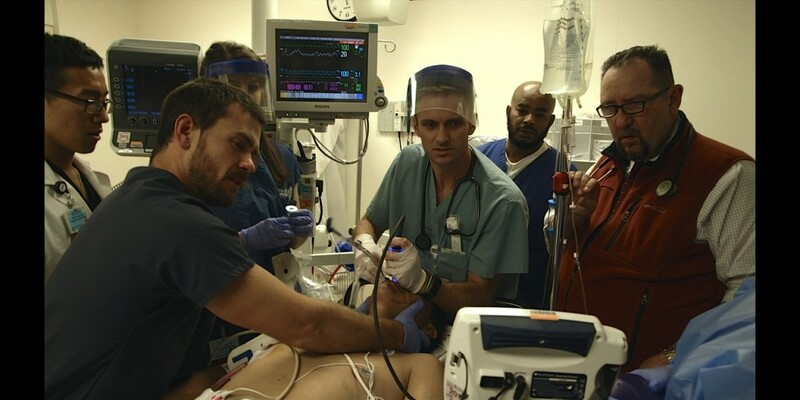 The film opens with a gunshot victim being quickly transported into what can only be described as a chaotic section of the ER, known in the film as “C-Booth”. The camera doesn’t flinch away from the somewhat gruesome image of the victim as he is cut open and attended to by a small horde of doctors. The camera works its way around the room, expertly shifting between the chaos on the gurney and the calm demeanor of the skilled medical staff as they attempt to save a life. The screen cuts instantly to a montage of news clips, all discussing Obamacare, and is then overlaid by sound bites from the film’s doctors wishing to share their “voice on it”; all this before the opening title appears on screen. McGarry doesn’t let up on the gas from the shocking opener. 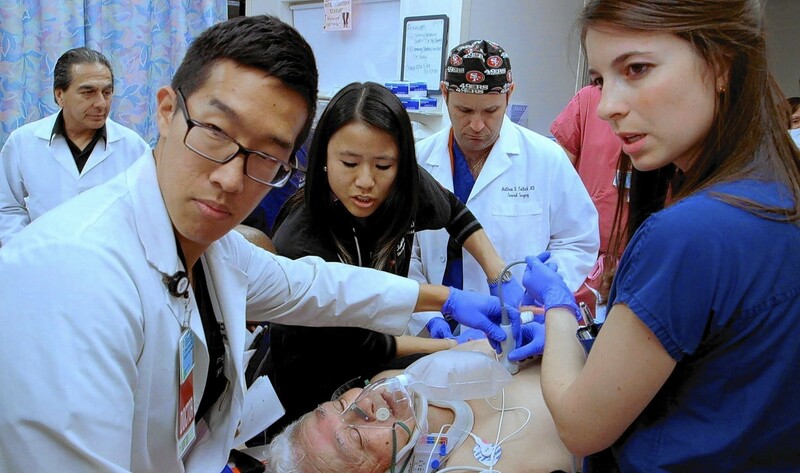 The film follows a handful of doctors on their last year of residency. As it moves from subject to subject it displays a wide variety of topics that are segued with the organized purpose of someone who has a well thought out message to share. The transitions between segments appear fluidly and with meaning. Never once is the audience left with the feeling that any of the film was simply thrown together. No segment is out of place or forced; and each ties back to the overarching theme of the film. It would be easy for McGarry to simply pick a side on the political debate of such a hot topic. However, he wisely sidesteps the polarizing choice for one much more humane. Through all the interviews, stock footage, and segments, the larger picture remains focused on the humanitarian role of the doctor. The viewer doesn’t need to be told; they can see through the entire film the passion and commitment that each and every one of these doctors has towards saving lives. The conflict of the film comes from the loss of that personal touch the doctors feel with their patients. Between mountains of paperwork, lack of resources, underfunding, and huge amounts of patients needing help, they no longer have time to personalize themselves with their patients. It is a touching moment to see how this loss affects these doctors as each of them owes their passion for medicine to deeply personal human connections that are now lost to them on a daily basis due to these changes. As Dr Eng says between tears, it is “soul-crushing”. 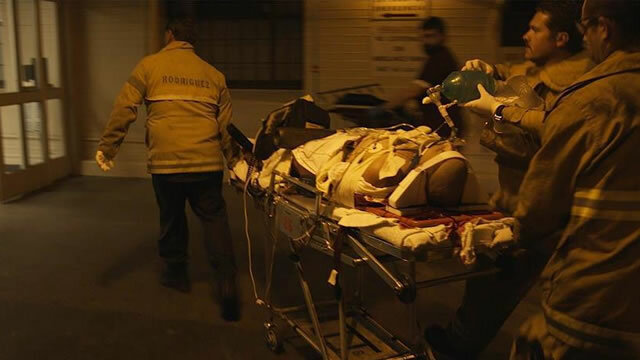 Between the sometimes gruesome footage of patients receiving treatment, the film weaves interesting and thought-provoking dialogue from numerous medical professionals. Several interesting backstories shed light on just how important that personal touch is to each of these doctors. The interviews are coupled with wonderfully interesting and relevant footage. Each of the interviews is conducted in a unique and individualized location with a variety of shots and angles that would suggest a director behind the helm with more experience. Not a single frame seems wasted. At times the only complaint seems to be for more from the audience; more stories, more explanation, more nuggets of wisdom. At just shy of an hour and a half, the film almost seems too short. Regardless of your political leanings or feelings on the issue of health care, you would be wise to see this film. Documentaries with something to say come along regularly. Documentaries like this with something to say and heart enough to make you feel that message rarely come along. « New Record Label, Classic Waxxx Records Releases First Album! !